Looking for a creative outlet for you or your kids? Then your next stop needs to be Fire Me Up! Studio in Downtown Cranford. Owner Tammie Crispino first came across the concept on vacatoin in Florida and when she realized there wasn’t anything similar back home she decided to open Fire Me Up. Tammie came from a business background and was currently staying at home with her children. 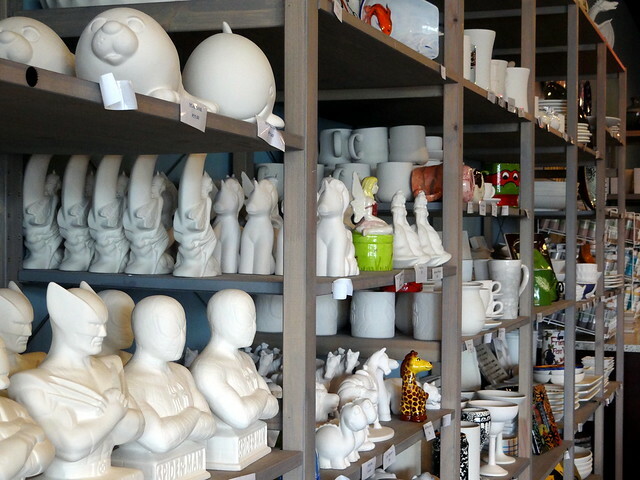 She already had a love for working with clay and was excited to shape her business around one of her passions. 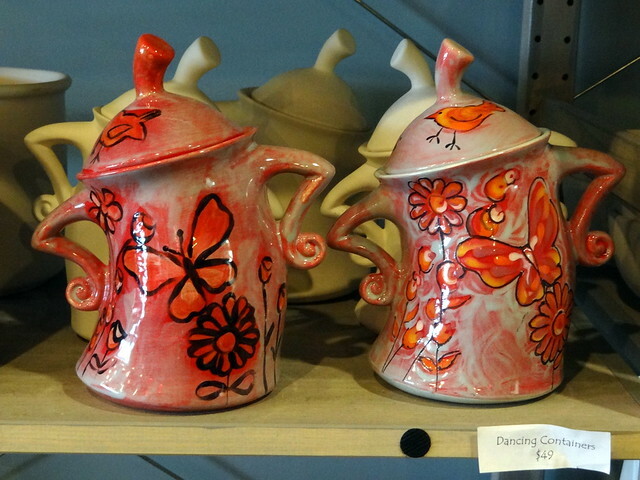 Fire Me Up believes that anyone can be an artist and they offer 4 mediums for people to express their creativity: Glass Fusing, Pottery Painting, Clay Handbuilding, and Canvas Painting. 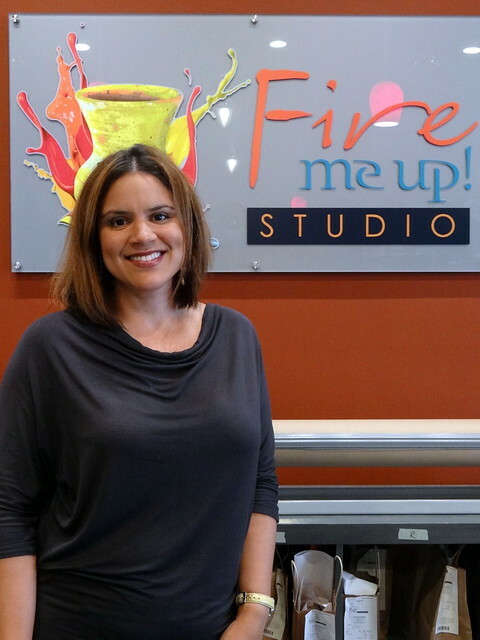 Both children and adults can create projects at Fire Me Up. 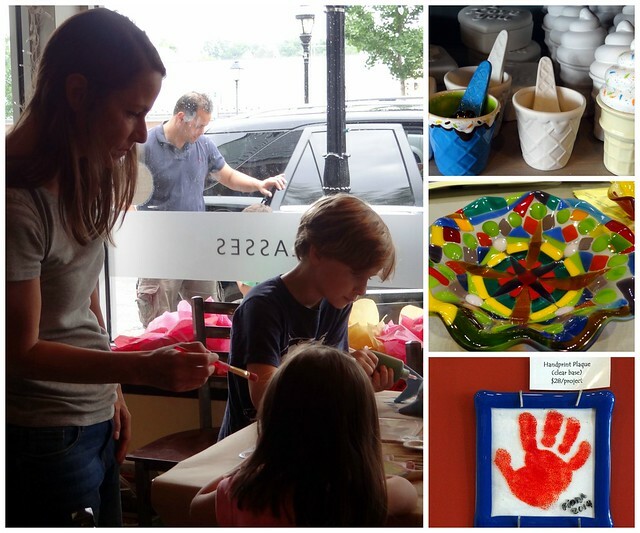 During the day the studio is filled with families creating pieces together, and with children holding birthday parties. Once the sun sets adults are the main customers, whether it’s a group of Moms looking for a night out or a couple out on a date. Fire Me Up offers a unique experience and a fun atmosphere that’s hard to replicate and keeps people coming back. Tammie schedules a number of events at Fire Me Up throughout the year. This summer the studio had six weeks of camp for children including My Doll and Me, Movie Week, Welcome to the 70′s, and Create Like the Masters. The response to the classes was extremely positive, with the majority of them selling out. For adults Tammie has Canvas Fun Nights where customers can bring their beverage of choice and paint a picture while enjoying food brought in from a local Cranford business. Once September rolls around Fire Me up will have enrichment classes for kids twice a week, as well as storytime and Sunday morning adult classes. Tammie is also excited about the Battle of the Artists she has scheduled in August. Each of her employees has created a piece of artwork and customers will then vote on their favorite. Tammie sought out Cranford as she was looking for a downtown that offered a good mix of restaurants and businesses, with a location near the center of town that also offered plenty of parking. She’s found that Cranford has been a perfect fit as it’s extremely family friendly. Tammie holds fundraisers at the studio regularly and many of the local businesses have donated baskets filled with goodies. Tammie also makes an effort to have local restaurants cater her events and has made Fire Me Up a true part of the Cranford community.